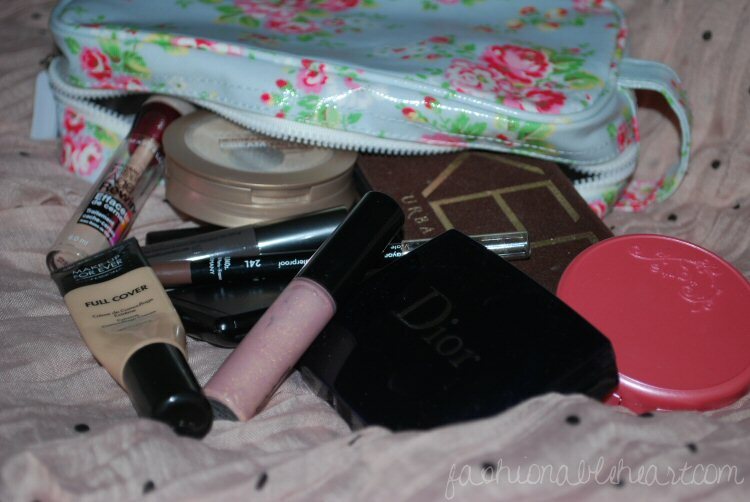 Fashionable Heart: Currently: What's in my makeup bag? Currently: What's in my makeup bag? 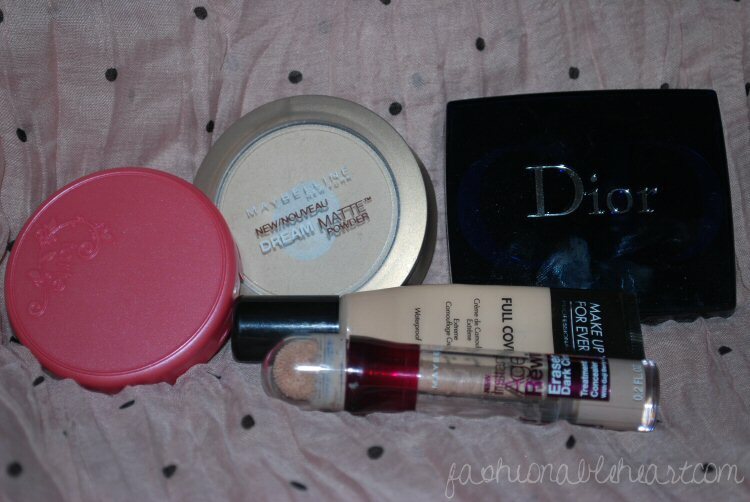 I thought I'd share what makeup I am currently using! I really go for simple in the summer months. A few products have changed here and there, but this is honestly what I have been using for most of the summer. If I have a review of the product, I will link to it. So here's what's in my makeup bag right now! BAG: Cath Kidston. I received it from a friend who lives in the UK. 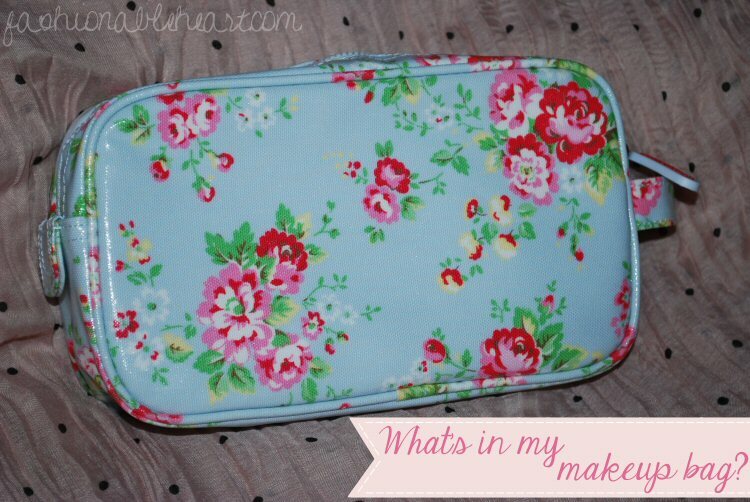 I adore everything Cath Kidston! FACE: Tarte blush in Dollface, Maybelline Dream Matte powder, Dior Amber Diamond shimmer powder, MUFE Full Cover concealer (HG! ), and Maybelline Age Rewind concealer. 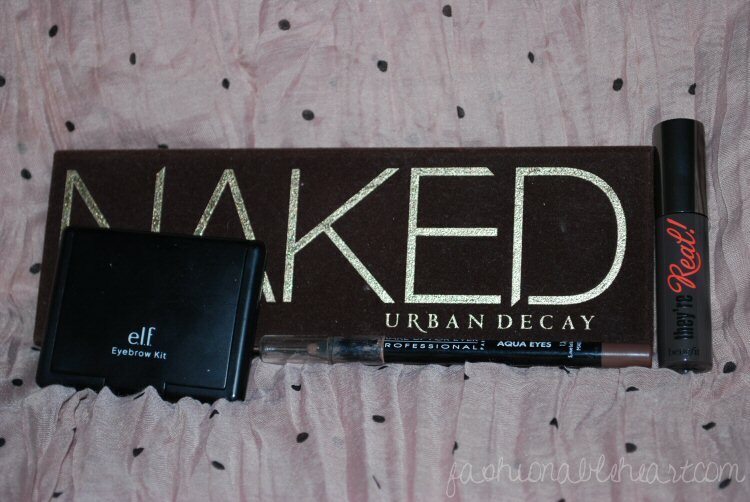 EYES: Urban Decay Naked palette, ELF eyebrow kit, MUFE eyeliner in 24L, and Benefit They're Real mascara. 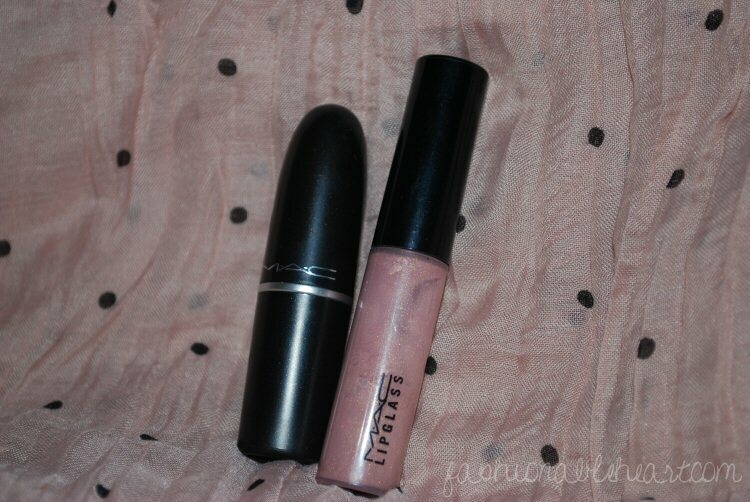 LIPS: MAC Snob lipstick and Oyster Girl Lipglass. What's currently in your everyday makeup bag?